One of India’s best known ski destinations and a favourite place to visit in Uttarakhand, Auli nestles deep in the Himalayas, and offers some of the most gorgeous views during the winter. For most of the year, Auli is green and beautiful, but during the winters, snow covers the slopes, making it a playground for Auli skiing, and for trekkers and nature lovers. Uttarakhand is home to the Valley of Flowers, a national park with an expanse of meadows where endemic alpine flowers and wild flora thrive. 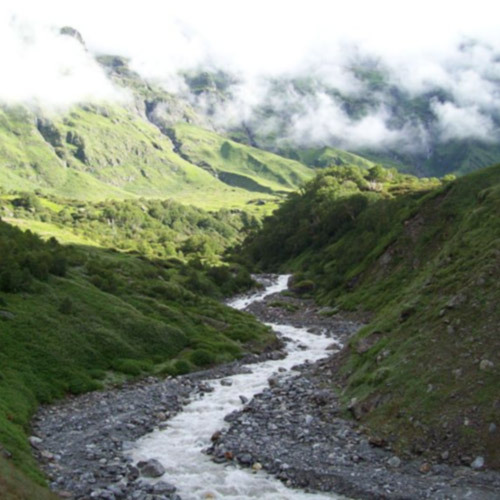 The treks to the Valley of Flowers start off from Auli, and take you into a misty mountain paradise. In the Valley of Flowers, you’ll walk through an array of wild flowers such as balsam, anemones, blue poppy, brahma kamals, primulas and asters among other species. These flowers emerge after a long winter, and the gently coaxing offered by River Pushpavati. A UNESCO World Heritage Site, the Valley of Flowers is a must-visit for trekkers, naturalists, botanists, nature lovers and mountaineers. 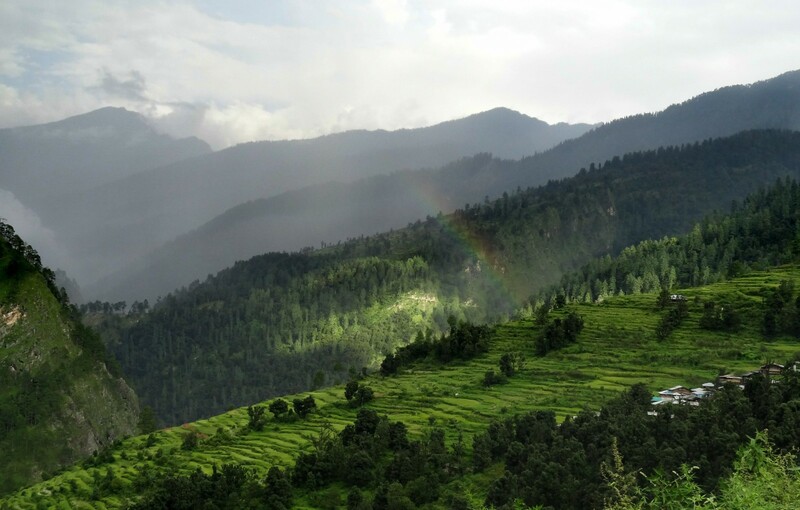 One of the other places to visit in Uttarakhand is Chopta. 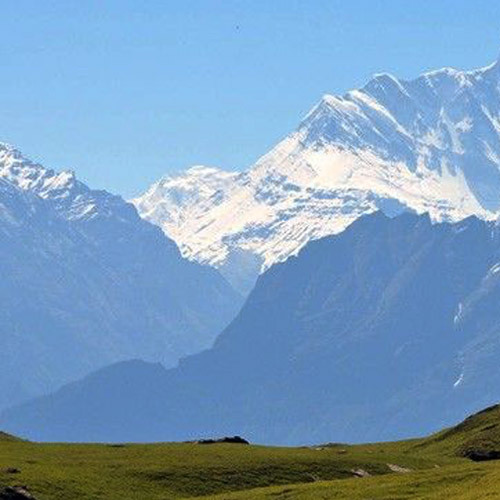 This trek also starts from Auli, and is one of the places to visit from Auli. On a trek to Chopta, you’ll visit the lakeside paradise of Deoriatal; climb a smaller peak of Chandrashila, and see Tungnath, the highest Shiva temple in the world. When you camp beside the Deoriatal Lake, you’ll see reflections of the magnificent landscape all around in its clear waters. Chandrashila Peak is a must-visit when it comes to places to visit in Uttarakhand – this peak is 13,123 feet high and is home to Tungnath. 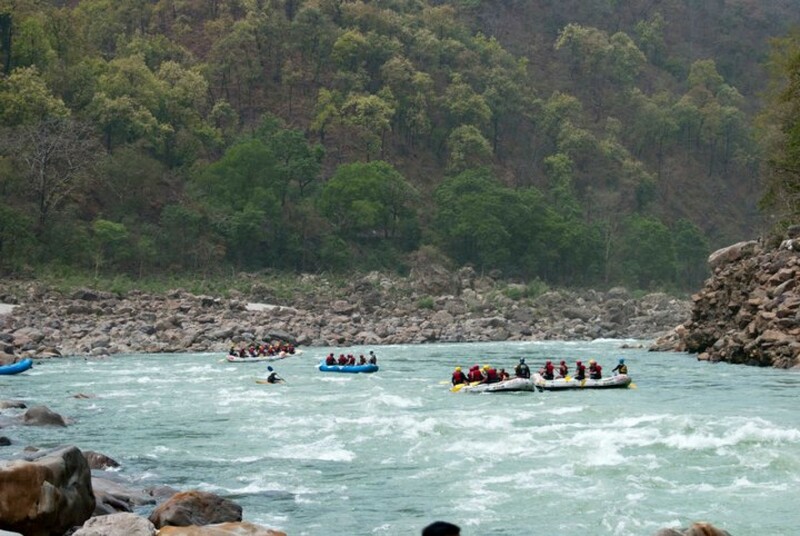 Rishikesh is famous for its serene vibes and spiritual feeling. However, it is also known as the adventure hub of India. 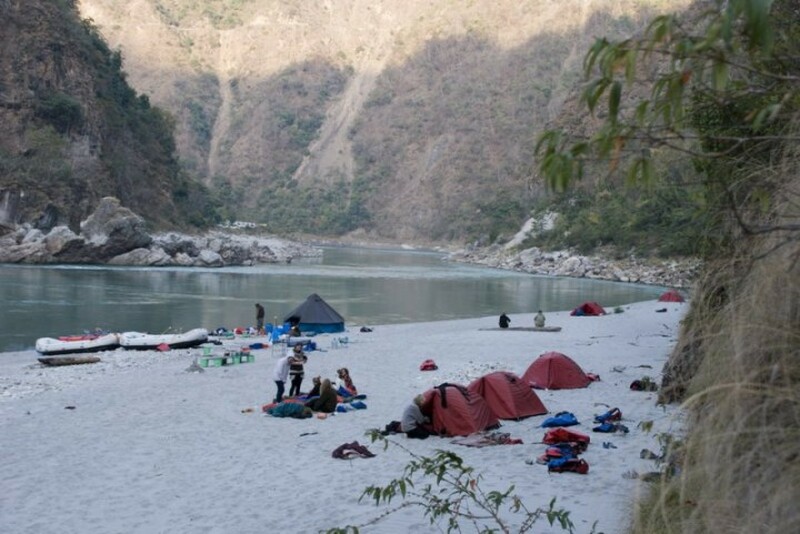 You can go rafting on some of the best whitewater rapids in India, kayak down serene stretches of the Ganges or the Yamuna river, or go for one of the many treks that start from here. Gurson Meadow is one of the more favoured places to visit in Auli because of the stunning scenery. During the winter, you can trek through the snow here, and return to a cosy lodge or tent later. Every morning, you head out to explore snow-laden meadows, view Himalayan peaks and walk through apple orchards with their branches covered in snow. You can also take a cable car ride to Gurson Meadow and walk through quaint Himalayan settlements and villages. If you’re heading to Auli in the winter, you can’t afford to miss an Auli skiing adventure. If you’re an experienced skier, you can book runs on the more exciting slopes, but if you’re a beginner, there are skiing classes to be booked. You’ll spend the day trying your hand at Auli skiing, and will return to hot soups and warm rooms in the evening. 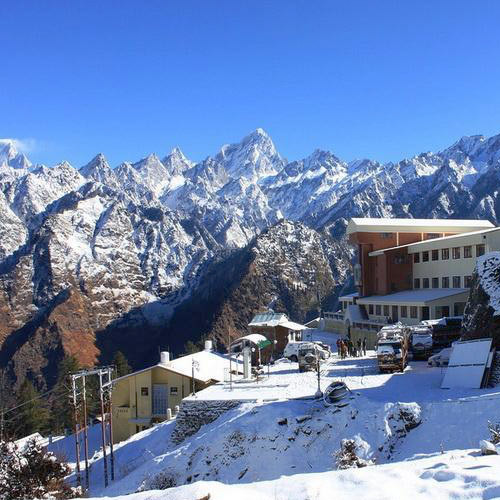 Known for its short summers and long winter season, the best time to visit Auli is during the winter months. This is when all the snow activities take place, from Auli skiing to snow trekking. 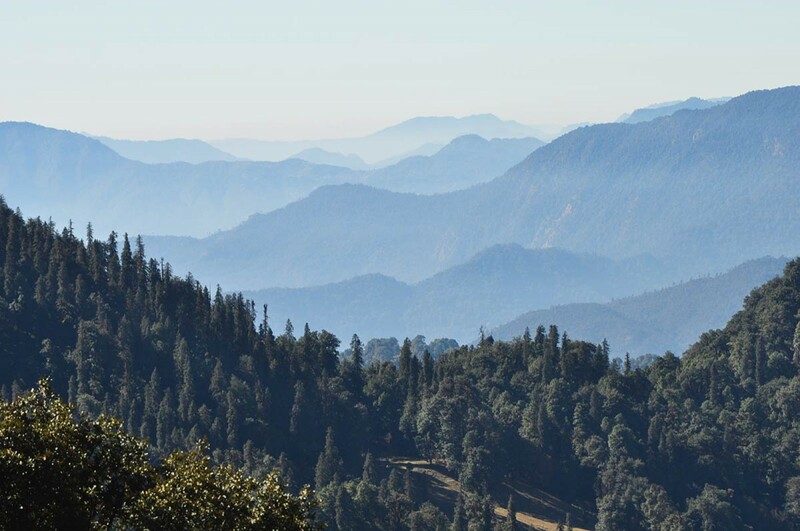 However, if you’re planning to do rafting, paragliding, or trekking, the best time to visit Auli is during the summer or spring, when the weather is pleasant and the nights are cool.